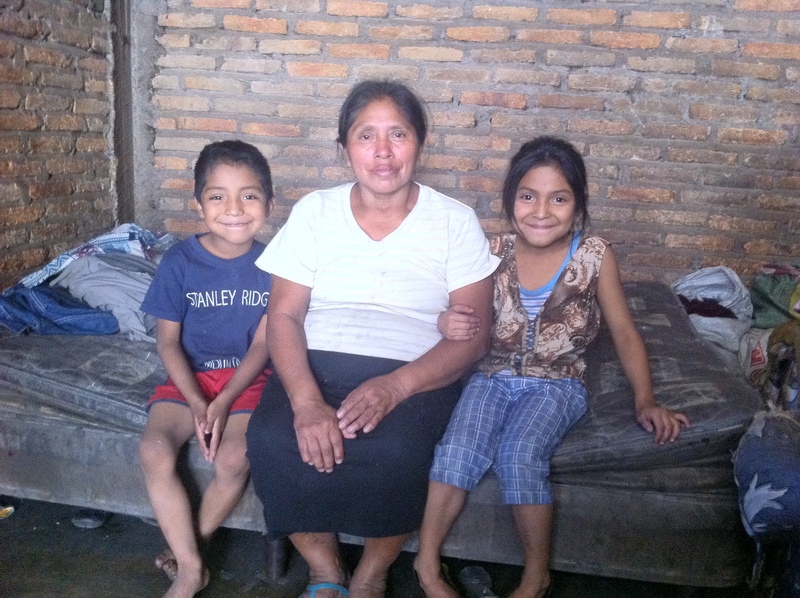 Angel (left) with his grandmother and sister in their small house he shares with 17 people. Six-year-old Angel Ricardo García Mesa lives with a total of 18 people in a small house made of scraps. Angel deals with the devastating effects of poverty every day. His mother and grandmother make very little selling tortillas on the street, while his father suffers from Leukemia and is unable to work. One year ago, Angel was invited to be a part of the POI program in his neighborhood. He no longer has to struggle though school or worry about where he will get his next meal. Despite the corrupt school system, Angel, along with over 400 children, are able to come to the POI program every day for tutoring and reinforcement lessons. They are provided with a hot, nutritious meal and medical care for their entire family. Most importantly, these children are taught about the incredible love of Jesus Christ. Angel is so thankful for POI because it has given him the motivation to keep studying and believing that he has a better future ahead, but mostly because through POI, Angel met Jesus. His sister is now part of the program as well. Find out how you can sponsor a child and change the course of their life forever.